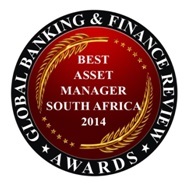 Global Banking and Finance Review awards Argon Asset Management (Pty) Limited in recognition for its continuing efforts to provide excellence and value in asset management. “Argon Asset Management (Pty) Limited is committed to creating value for their customers and building long term relationships. They do this through research-driven investment strategies and by developing strong personal relations with investors.” said Wanda Rich, Editor, Global Banking and Finance Review. The awards honour companies that stand out in particular areas of expertise in the banking and finance industry. Our research team scrutinize nominations to ensure that they meet the specific criteria for an award in the selected category. The judging panel, comprising the research team, the Editor and the Publisher evaluate these along with the other nominations received for the award category and in their reasonable judgement select a winner.